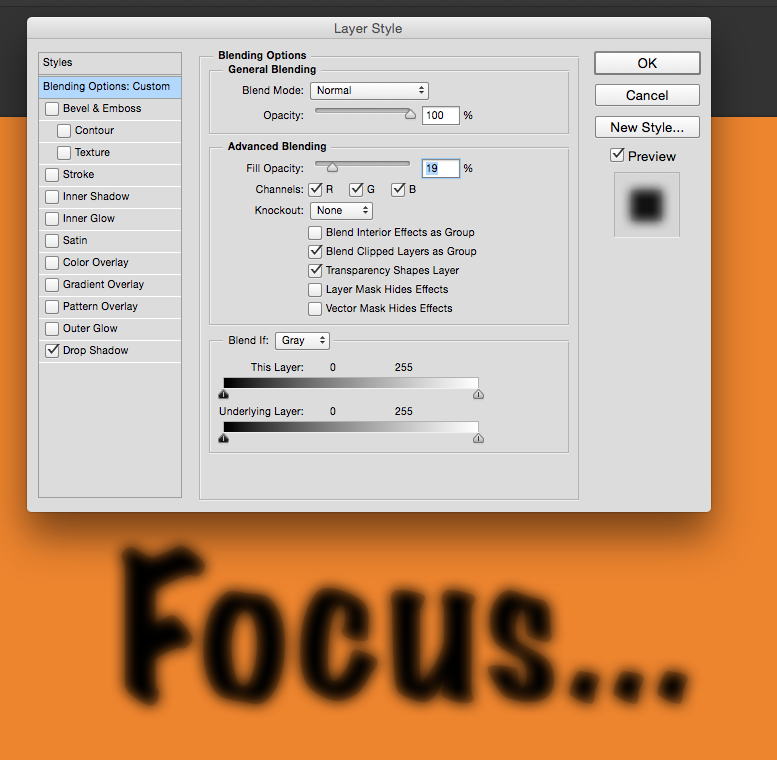 There is an easy way to create blurry or out-of-focus text in Photoshop using Layer Effects. The text remains therefore perfectly editable. 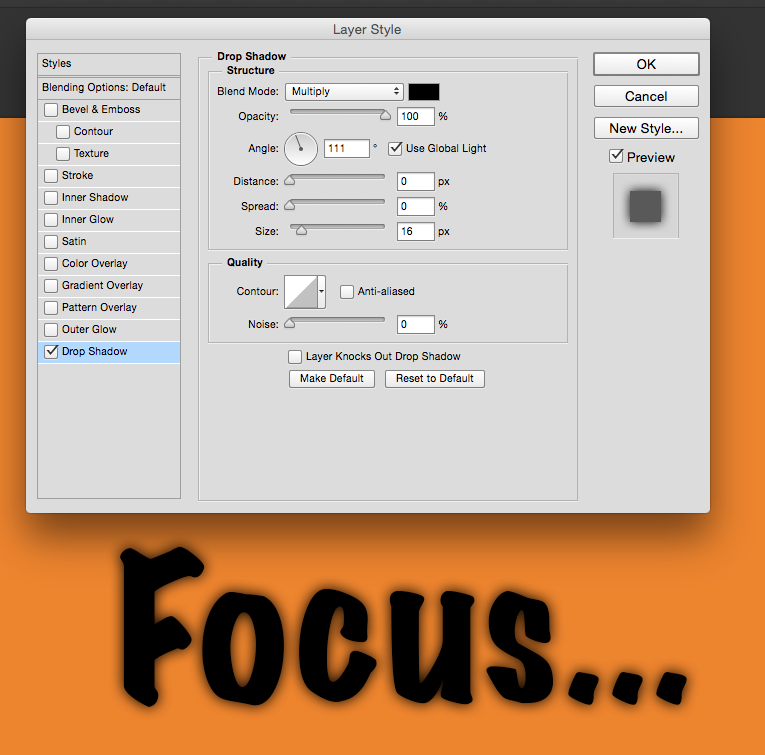 Now right-click the text layer and select Blending Options. At the very bottom of the list, pick a drop shadow and set its properties so that the text gets its blurry outline. Set the distance to zero so that the shadow is not created towards the bottom left, or wherever the light source appears to come from. Increase the size of the shadow to create a blurrier effect. To remove the last bit of sharp text, head over to the very top of that list and select Blending Options, above Bevel and Emboss. I didn’t even know this was clickable! Here we can reduce or completely remove the Fill Opacity, which controls the actual substance of the layer without touching the effect we’re creating (namely that blurry shadow). Don’t touch the Opacity though: this will reduce both the shadow and the fill. What we’re left with is just the effect and not the typeface.